Hydra 3Ha Hydrating Youth Cream 50ml and Serum 50ml Boxed Set. Sothys re-invents the hyaluronic acid approach to immediately restore hydration and preserve the skin's youthfulness day after day. We will never stop talking about hydration because it’s the most important thing for your skin! Your skin’s hydration has an impact on your skin’s radiance, elasticity, youthful appearance and skin comfort. Hence, SOTHYS has re-invented the typical “hyaluronic acid” approach by introducing a new hydra-plumping complex in its new HYDRA3Ha.™ Range that gives you “Boing Boing” bouncy skin! 1055 boletus extract – The star active ingredient obtained through GREEN CHEMISTRY, a non-polluting process of extracting natural ingredients. Boletus Edulis, also known as ‘Porcini’ in Italian or ‘Cep’ in French, is an edible mushroom prized for its finest and great taste around the world. It is rich in Vitamin B3, reducing the effects of skin ageing and Vitamin E for powerful anti-oxidants. 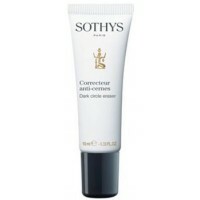 SOTHYS Advanced Research has found this patented ingredient to act on epidermal and dermal hyaluronic synthesis. High Molecular Weight Hyaluronic Acid + NMF (Natural Moisturizing Factor) components – Used on the surface of the skin because it forms a non-suffocating film that is able to harness and retain water 1000 times its weight. Low Molecular Weight Hyaluronic Acid – Stimulate the biosynthesis of hyaluronic acid and collagen, also the proliferation of fibroblast (collagen mother cells) and keratinocytes (skin cells generator). SOTHYS HYDRA3Ha.™ Range revolves around a three-dimensional approach which is to provide powerful hydration that starts from deep within the skin cells at the gene level to the surface moisture barrier. Surface Action: Impregnation of skin surface with water. Formation of a protective film and slow release of essential components of the NMF*. Intercellular Action: Anti-free radicals, improves moisture flow & intercellular communication. Optimizes barrier and moisture reserves. Action deep within the Skin: Protect stem cells. Renew epidermis. *Please note that the Christmas Edition and the new boxed set DO NOT include the cosmetics bag. Sothys Hydra 3Ha, an exclusive, patented active ingredient from Sothys Advanced Research combining HPM hyaluronic acid in patch form with “Quenching” active ingredients. 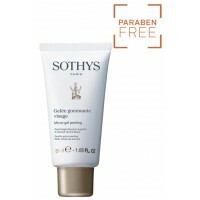 Highly effective formula to regenerate the skin and lastingly restore its moisture. +46% hydration after 3 hours ** and continuous hydration for 8 hours**. Hydrating youth Cream: Aqua(Water)-Glycerin-Butylene Glycol-Cetearyl Ethylhexanoate-Butyrospermum Parkii (Shea) Oil-Squalane-Dicaprylyl Carbonate-Xylitylglucoside-Tapioca Starch-Hydroxyethyl Urea-Anhydroxylitol-Stearyl Ethylhexanoate-Acrylates/C10-30 Alkyl Acrylate Crosspolymer-Acrylamide/Sodium Acryloyldimethyltaurate Copolymer-Urea-Boletus Aereus/Aestivalis/Edulis/Pinicola (Mushroom) Extract-Trehalose-Xylitol-Isohexadecane-Isopropyl Myristate-Lecithin-Parfum (Fragrance)-Sodium Dehydroacetate-Carbomer-Polysorbate 80-Sodium Hyaluronate-Tetrasodium EDTA-Sodium PCA-Serine-Sodium Hydroxide-Sodium Styrene/Acrylates Copolymer-Chlorhexidine Digluconate-Sorbitan Oleate-Pentylene Glycol-Polymethylsilsesquioxane-Algin-Hexylene Glycol-Polyquaternium-51-Caprylyl Glycol-Glyceryl Polyacrylate-Helianthus Annuus (Sunflower) Seed Oil-Potassium Sorbate-Xanthan Gum-Pullulan-Triacetin-Disodium Phosphate-Potassium Phosphate-Rosmarinus Officinalis (Rosemary) Leaf Extract-Chlorphenesin-Sodium Benzoate-Tocopherol-Sorbic Acid-Hexyl Cinnamal. Hydrating Comfort Youth Cream: Aqua(Water)-Glycerin-Hydrogenated polydecene-Zea mays (Corn) germ oil-Butyrospermum parkii (Shea) butter-Cetearyl alcohol-Octyldodecanol-Squalane-Tapioca starch-Xylitylglucoside-Cetul alcohol-Dimethicone-Glyceryl stearate- Hydroxyethyl urea-PEG-100 stearate-Anhydroxylitol-Cetearyl glucoside-Ammonium acryloyldimethyltaurate/VP copolymer-Boletus Aereus/Aestivalis/Edulis/Pinicola (Mushroom) extract-Olea europaea (Olive) oil unsaponifiables-Trehalose-Urea-Xylitol-Caprylyl glycol-Parfum (Fragrance)-Lecithin- Glycine soja (Soybean) oil unsaponifiables-Triticum vulgare (Wheat) germ oil unsaponifiables-Butylene glycol-Disodium EDTA-Serine-Tocopherol-Glycine soja (Soybean) oil-Pollen extract-Sodium styrene/acrylates copolymer-Chlorhexidine digluconate-Polymethylsilsesquioxane-Sorbic acid-Pentylene glycol-Algin-Glyceryl polyacrylate-Helianthus annuus (Sunflower) seed oil-Potassium sorbate-Xanthan gum-Sodium hyaluronate-Pullulan-Disodium phosphate-Potassium phosphate-Rosmarinus officinalis (Rosemary) leaf extract-Chlorphenesin-Sodium benzoate-Hexyl cinnamal. Hydrating Serum: Aqua(Water)-Glycerin-Isononyl Isononanoate-Ethylhexyl Palmitate-Caprylic/Capric Triglyceride-Squalene-Cetyl Alcohol-Ammonium Acryloyldimethyltaurate/VP Copolymer-PEG-8-Boletus Aereus/Aestivalis/Edulispinicola (Mushroom) Extract-Acrylates/C10-30 Alkyl Acrylate Crosspolymer-Lecithin-Olea Europaea (Olive) Oil Unsaponifiables-Caprylyl Glycol-Disodium EDTA-Parfum (Fragrance)-Chondrus Crispus (Carrageenan)-Glycine Soja (Soybean) Oil Unsapinifiables-Triticum Vulgare (Wheat) Germ Oil Unsaponifiables-Phenoxyethanol-Sodium Hydroxide-Sorbitan Oleate-Propanediol-Sodium PCA-Urea-Pentylene Glycol-Sorbic Acid-Hydrolyzed Pea-Chlorhexidine Digluconate-Sorbitan Laurate-Pollen Extract-Trehalose-Hexylene Glycol-Polyquaternium-51-Trisodium EDTA-Tocopherol-Hyaluronic Acid-Triacetin Sodium Metabisulfite-Zizyphus Jujube Seed Extract-Sodium Benzoate-Chlorphenesin-Sodium Hyaluronate-Myristyl Malate Phosphonic Acid-Phytoecdysteroids-Potassium Sorbate-Hexyl Cinnamal. Apply a small amount to cleansed skin morning and night. Cleanse skin thoroughly, apply serum, then massage in the cream. Does this kit come with gel cream? I would like to purchase a kit with gel cream. Dear Sanduni, Yes, the Hydra 3Ha discovery kit did come in both cream and cream-gel, but being limited edition, it sold out quite fast. I've been using these products for 6yrs now and they never fail to keep my skin healthy and happy. Beautiful products. The hydration that Australians need. This special package was a very good idea as I kept the cream and I gave the serum to my boyfriend as his first experience in beauty products. We both are very happy with this purchase. Good price and excellent quality. 2x2!! I just love the hydrating effect of this set. When my skin is looking dry and tired, the Hydradvance set is all I need to bring youth and life back into my skin. My skin feels really smooth and clean with this cleanser, although I do alternate with the Comfort Cleansing Milk to ensure not too drying on my skin. Skin feel smoother and more supple.